Stand + Stare have been creating The Post Truth Guide as part of the Brigstow Institute along with Pete Bennett. Pete is a freelance creative technologist and honorary research fellow in human-computer interaction at the Bristol Interaction & Graphics Lab. The team have spent the last few months developing the Post Truth Museum App/Guide as a Brigstow Institute project and the research will be presented in October. Brigstow brings researchers from different disciplines together with a range of partners across the city and beyond to experiment in new ways of living and being. 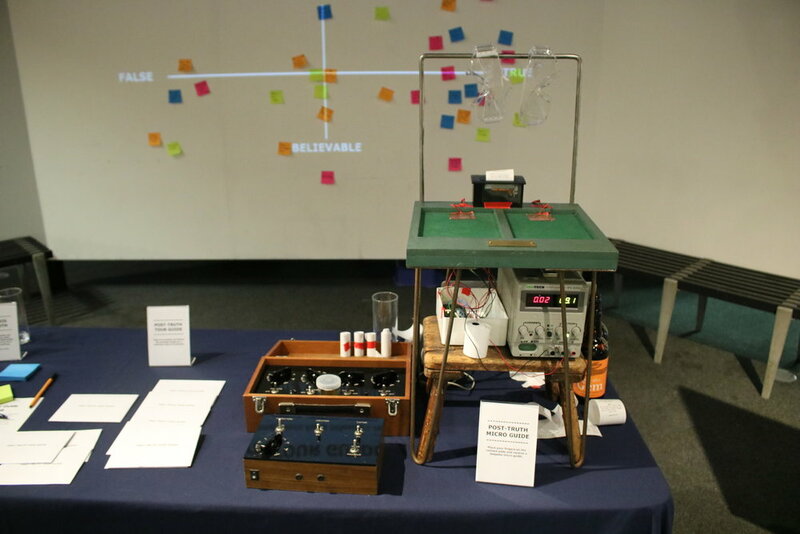 The team have been meeting regularly in the Bristol City Museum and At-Bristol Science Centre to discuss ideas and test our prototypes. 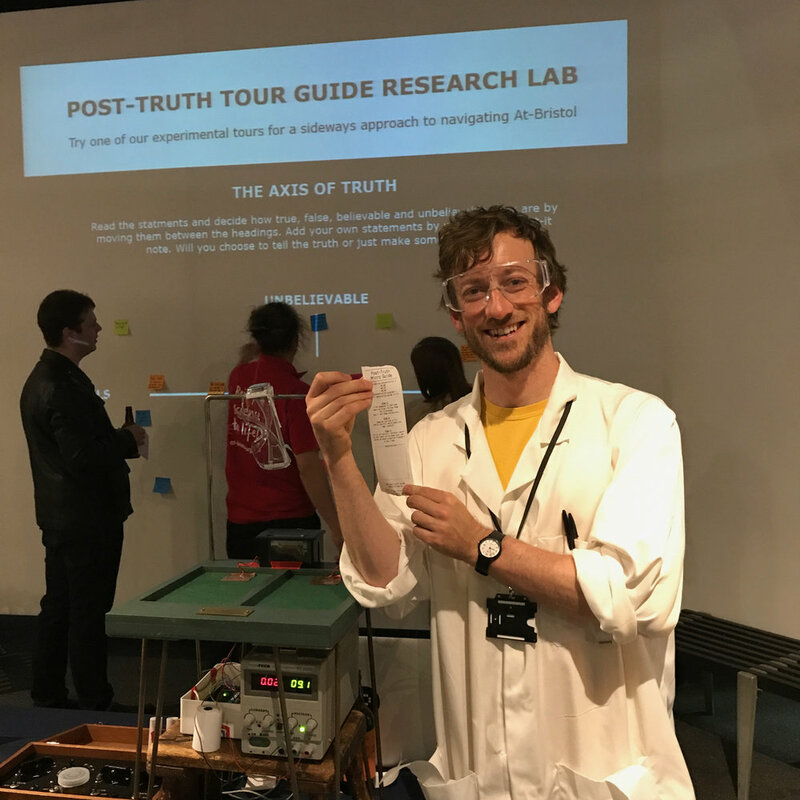 Pete and Barney headed to the At-Bristol After Hours on Thursday evening and set up the Axis of Truth, a Post-Truth Micro Guide and the Post-Truth tour guide. Read the statements and decide how true, false, belivable and unbelivable they are by moving them between the headings. Then add your own. Place your fingers on the contact pads and receive a bespoke micro guide. Take an envelope and follow the prompts inside for a sideways view of At-Bristol. It was a great opportunity to try out the ideas and tasks so far with members of the public at this halfway point in the process.